Can a Spouse Overrule a Medical Power of Attorney? Married, divorced or single, every person has the right to select a trusted agent to make future decisions about her medical care if she becomes incapacitated. The document used to appoint an agent is called a medical power of attorney or healthcare power of attorney. If your spouse followed state laws in preparing and signing the document, neither you nor any other family member can override her choice. 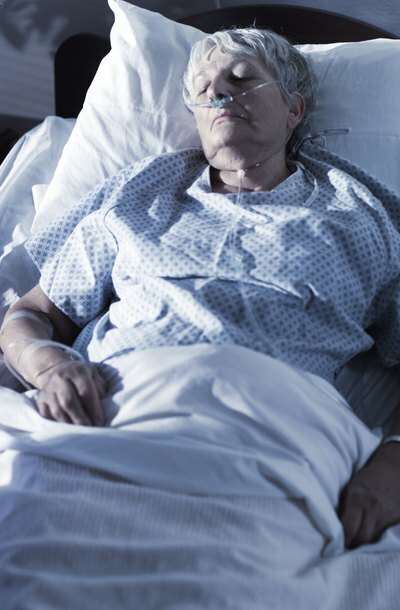 A medical power of attorney is a legal document that allows an individual to name someone in whom she has confidence to made health-care decisions in her stead if she is unconscious, in a coma or otherwise lacks mental capacity. In some states, such as New York, the document is often referred to as a health care proxy. The person named in the power of attorney or proxy need not be a family member or an attorney. A medical power of attorney will survive a spouse's challenge if it was properly drafted and signed. A medical power of attorney is only valid if it was made at a time when the person signing it was competent. Once a person becomes incompetent, her subsequent selection of an agent is not effective. If you believe that your spouse signed a medical power of attorney after she became mentally incompetent, or that she was coerced into signing, you can challenge the document's validity. At the same time, you can ask the court to appoint a guardian or conservator to act for her. You can also challenge a medical power of attorney in court if it was not prepared according to state law. The formalities required to prepare the document vary from state to state, so in order to assess whether a power of attorney is valid, you need to familiarize yourself with your state's requirements or hire an attorney to advise you. For example, for a medical power of attorney to be valid in Wisconsin, the person signing must have two adult witnesses who are not related to her by blood or marriage, and do not have financial responsibility for her health care costs or any claim on her estate. In California, the signature must be attested by a notary or two witnesses. Durable powers of attorney are subject to abuse. The agent is under the highest legal duty, termed a fiduciary duty, to act in the principal's best interests but this does not always happen. According to the American Bar Association, a durable power of attorney is sometimes referred to as a "license to steal" since the agent operates almost entirely without oversight. An agent appointed in a medical power of attorney is required to make critical healthcare decisions for your spouse, including approving or denying medical treatment and selecting a physician and a medical facility. If you believe that the agent is acting in a manner that is not in your spouse's best interests, you need to present the facts to a court. Caring.com: Is There Any Way I Can Override My Parents' Power of Attorney? Can My Spouse Complete a Power of Attorney After the VA Finds Incompetency?